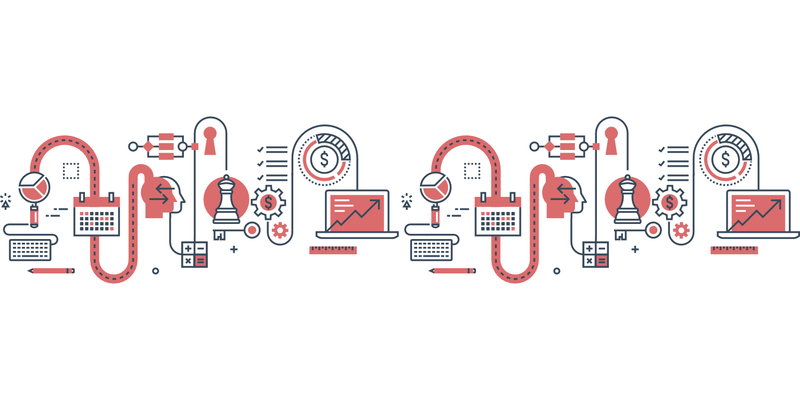 Once companies or individuals secure work, they need to have an efficient way of managing their time and tasks so that they can deliver exceptional work for their clients. 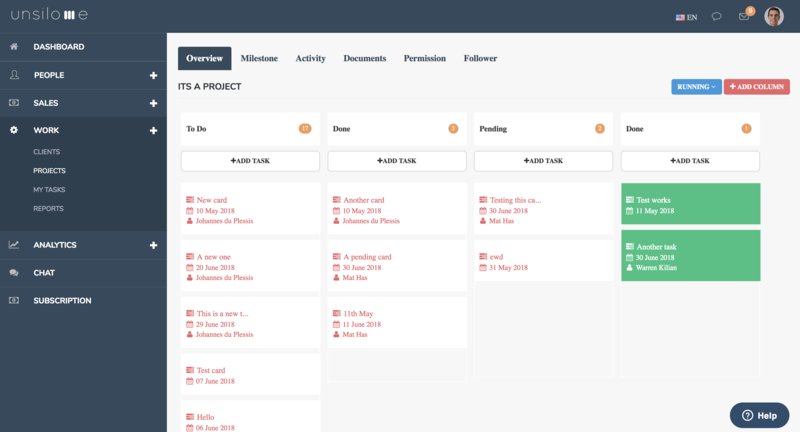 Unsilo.me has a built in Work (project management) module that allows you to manage all projects and tasks. This is fully integrated with the sales module so that any deals won can seamlessly be reflected in the work module so that clients work can be well managed. There is no longer a need for two separate platforms, Unsilo.me takes care of them both. Managing tasks and timelines are specific to client expectations. Unsilo.me have seen the value of managing client information as well as expectations through one cohesive system whilst ensuring that projects get completed. Thus, the client information used through sales, can be continually managed through related tasks and projects. Unsilo.me knows that at the core of every success is a well timed piece of work. The project module allows for each user to have the ability to create projects to which various users can be assigned to ensure the project plan is executed in accordance with the relevant deadline. Projects categorise a list of tasks assigned to users in order to deliver work successfully. Task management is a simple breakdown of a projects deliverables in order to deliver work accordingly. Each project has the ability for the user to set tasks or specific actionables and can view these in a list or column view. Unsilo.me has streamlined and simplified the way tasks are viewed and managed so each user can clearly see what needs to be actioned. Project milestones are overarching tasks with zero duration that are critical to a project by signifying various achievements. Milestones are used as a way of showing forward movement and progress which helps with useful communication and setting expectations among project teams. Unsilo.me knows the importance of these and how to help you manage these accordingly. Project completions require various people to attend to various components in order to deliver a whole. Unsilo.me thrives on integration and collaboration and thus has given users the ability to be added as project followers or task contributors to streamline the process of completing work. Collaboration is the key to providing holistic business performance. Unsilo.me identified the importance of both accountability and productivity, thus creating the project report function within this module. Reports allow admin users to track timings within projects to be able to access the status, progress and inconsistencies throughout the project. This level of accountability helps for present and future scoping and management of projects.